Presented here, because I can't resist a woman dressed in animal print cover art. 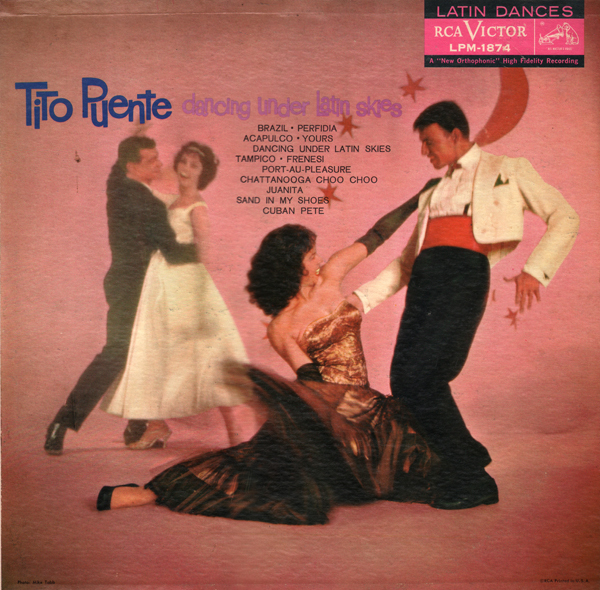 From the back cover: Recored in RCA Victor's Studio A, New York, August 3 and September 2, 1958. Nice late 50s Latin set. 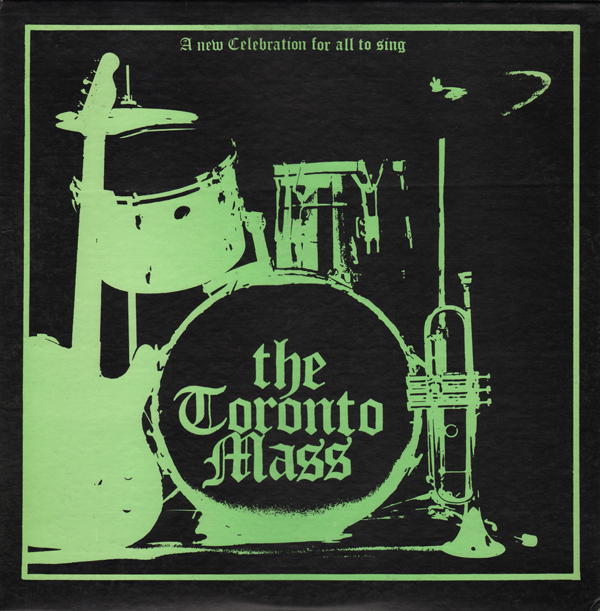 From the back cover: The Toronto Mass was written and arranged by Tim Elia. 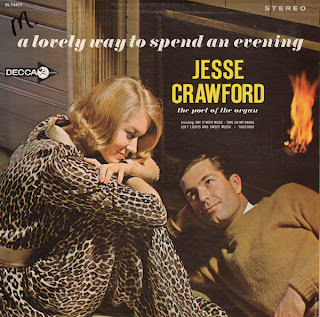 This recording was produced in Canada by Martin Robinson. These Mass settings and hymns blend blues, rock, jazz & classical forms and encourage dialogue between singer and the congregation. 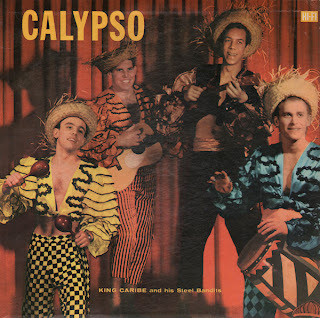 Tim Elia did the lead vocals, piano and organ on the recording; Mike Malone played trumpet and alto recorder; Frank Kubl also played trumpet; Paul Mosley played bass and drums; Jim Kenzie did vocals and guitar' Vic Voytek played drums; Mile Kennedy did congas and percussion; Mike Griffin did tymbali and percussion, and Jeanne-Marie LaCalamita did lead vocals. Intonations were by Pat Elia. The "congregation" was Mary Elia, Jean Kubl, Linda Mosley, Vera Cudjoe, Shal Kerov and Joan Kennedy. USA Edition published by North American Liturgy Resources - Cincinnati, Ohio. 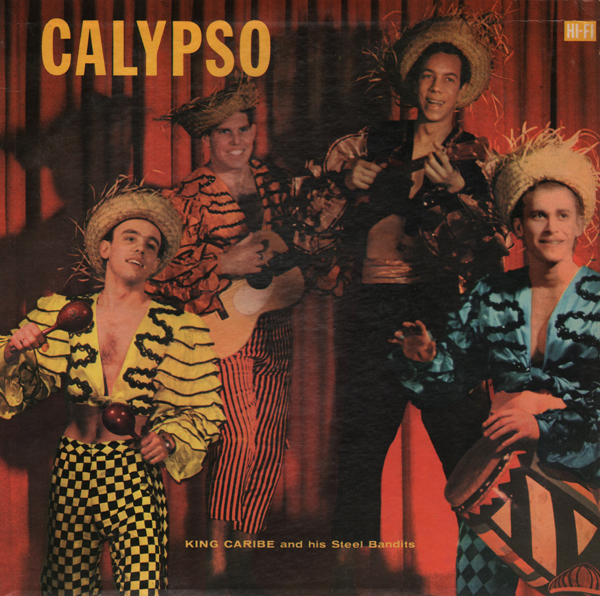 From the back cover: King Caribe and his Calypso Bandits are veterans and victors of many Calypso wars. And they display their winning form on these twelve delightful and melodious selections. Some have gay and humorous lyrics and others are downright fiery. Here's an obscure and interesting spoken word/jazz album that was created to go with a filmstrip. Paintings by J. Thomas Leamon. From the back cover: In this forceful examination of the whole spectrum of modern painting, author-narrator, J. Thomas Leamon, shows us that the vision of modern artists such as Rouault, Picasso, Beckmann, Klee and Jackson Pollock is closely akin to the vision of the Prophets and See-ers of the Bible. 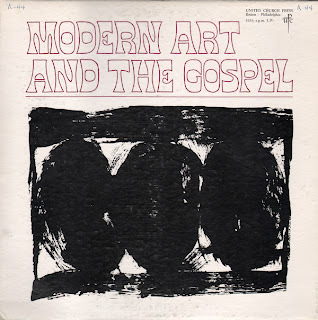 The modern artist exposes the predicament of modern urban man which can be finally ministered to only through the gospel. Mr. Leamon is pastor of the Westfield Congregational Church in Danielson, Connecticut. Composer-conductor, Robert Freedman, uses jazz instruments to create a score as biting and contemporary as the works of visual art examined here. The present work is scored for piano, clarinet, tenor saxophone, trumpet, bass and drums. Mr. Freedman, who has played with Maynard Ferguson, Woody Herman and Duke Ellinton, and written for Louis Bellson, Maynard Ferguson, Lionel Hampton and Jerry Mulligan, not only conducts his own work here but also plays, piano, clarinet and tenor saxophone. He has especially dedicated this composition to Duke Ellington. The other members of the musical ensemble: Herb Pomeroy - trumpet, Joe Benjamin - bass and Joe Cocuzzo - drums. From the enclosed booklet: The Reverend J. Thomas Leamon is minister of the Westfield Congregational Church. Danielson, Connecticut. A graduate of the Rhode Island School Of Design, he is an artist as well as a writer. Since entering the ministry he has continued his interest in art, especially in working with youth groups in writing and producing films and and filmstrips. He was the artist for the Church and Home curriculum filmstrip, Members One Of Another, and the writer for the United Church curriculum dramatic recording, On The Third Day.